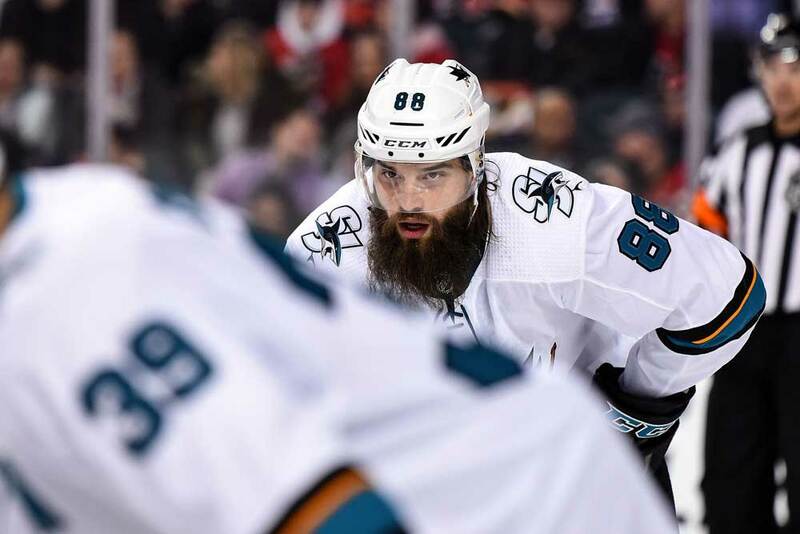 There are no two ways about it: The San Jose Sharks are rolling. Since the start of December, Peter DeBoer’s squad is 23-8-2 and scoring an average of 4.06 goals per game. It’s shaken off a slow start to claim second place in the Western Conference, and the top-seeded Calgary Flames are most definitely sweating as they look over their shoulder. Frankly, this was inevitable. San Jose boasts a tremendous collection of talent that can rival anyone’s in the league. It was just a matter of letting the roster work out its kinks. Now that the team has found its stride, it’s running roughshod over opponents on the strength of its third-ranked offense. That constitutes a significant step up from its ranking in the two previous campaigns (13th and 19th), as the attack is no longer as top-heavy. It’s both potent and balanced. It can find scoring from a variety of lines and in a variety of ways. After all these years, the dynamic in San Jose finally feels…different. Obviously, Erik Karlsson’s (44 points in 48 games) arrival was monumental. 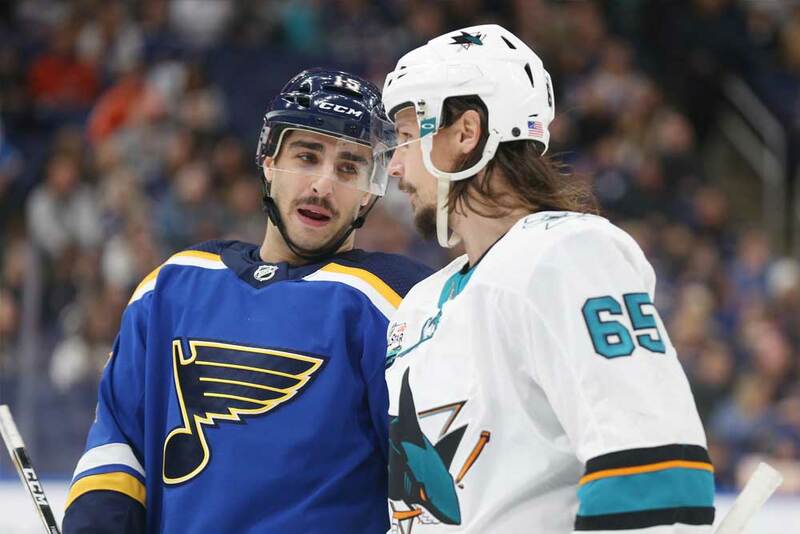 The 28-year-old is one of the finest offensive defensemen this game has ever seen, and his ability and willingness to generate a push from the back end have greatly benefited the Sharks. In addition to his wicked point shot, he supplements the offense with accurate breakout passes and the acceleration to skate himself out of trouble. He may never regain the blinding speed he possessed prior to the Matt Cooke incident, but he can still impose a tempo that few can keep up with. He currently leads all NHL blueliners in shot shares (59.2 CF%) and slots in sixth in scoring chance shares (56.5 SCF%). No defenseman in the world creates more rebound opportunities for his teammates. When paired with Brenden Dillon, the two have produced stunning results at 5-on-5: 60.8 CF%, 58.8 SCF%, 61.1 GF%. There’s simply no disputing his impact on this year’s Sharks. However, Karlsson isn’t the only change of note. After all, he recently missed nine games with a groin injury and the team still averaged 4.00 goals over that span. The truth is the Sharks have undergone a low-key youth movement up front. The leaders of this new wave, Tomas Hertl (25) and Timo Meier (22), aren’t the sort of fresh-faced teenagers who will steal headlines, but they’re providing a welcome dose of enthusiasm as well as a keen nose for the net. Following a brutal knee injury that derailed his rookie season, Hertl (53 points in 54 games) has put in the time and effort to quietly become a chance-generating machine. Those who only remember him for his between-the-legs goal from 2013 might be surprised to learn that he’s developed into a puck possession beast who thrives more on cycle situations than dazzling rushes. His underlying numbers are solid (54.4 CF%, 54.6 SCF%), and the eye test reveals a deceptively strong forward who leverages the entirety of his 6’2”, 215-pound frame to shield the puck, gain inside position and attack the front of the net. While he isn’t a traditional crash-and-bang power forward, he excels in the dirty areas nonetheless. He gets a whopping 53% of his shots from either the slot or high slot and is a bull below the goal line, lowering his center of gravity to become an immovable object until a window of opportunity presents itself. His solo mission against the Pittsburgh Penguins in mid-January was a perfect snapshot of his skill set: With Evgeni Malkin bearing down on him, Hertl sticks out his rear end in Jaromir Jagr fashion and floors the Russian star. Once he senses the open ice in front of him, he cuts straight to the slot, evades Jack Johnson’s stick check with a nifty move to his forehand and beats Matt Murray high stick side. With his poise in traffic, deft puck-handling and quick release, Hertl can single-handedly take over shifts when he puts his mind to it. That’s actually been the case for a year or so now, but he’s sharpened his finishing touch to a lethal degree in 2018-19. Though he’s sporting a career-high on-ice shooting percentage (10.6), that may be the result of better looks courtesy of an improved supporting cast. Meier (51 points in 56 games) has a similarly lofty OISH% (10.1). Again, however, this may be due to both his surroundings and knack for finding pucks in high-percentage zones. Much like Hertl, the youngster makes a living in the trenches, registering 47% of his shots from the slot or thereabouts. He may not control play as effectively as his counterpart, but he’s a more explosive skater and a better pure shooter. He’s a more natural power forward as well, cutting a straight line to the opposition’s cage and giving defenders fits along the way. While his physicality has toned down somewhat, he remains a handful in the corners and drives the net with reckless abandon. Standing at an ordinary 6’0” and 210 pounds, he’s also surprisingly tough to move from his spot and has a wonderful ability to stick with the play amid pressure. The scary part? Neither Hertl nor Meier have fulfilled their potential on the man advantage. The best is indeed yet to come. In the meantime, they rank first and third among Sharks forwards in points/60 and bring a much-needed direct approach to a San Jose attack that often dictated play but lacked a cutting edge in close quarters. They bring the fight to your front door and win far more of the tussles than they lose. You couldn’t ask for better timing from management’s perspective either. 39-year-old Joe Thornton (31 points in 50 games) has slowed down considerably with age and injuries. Logan Couture (53 points in 59 games) and Joe Pavelski (52 points in 59 games) are still very productive but no longer represent the engines that make the offense go. Evander Kane (50 points in 59 games) is more of a trigger man than a leader. The Sharks needed someone to grab the torch from the veterans, and Hertl and Meier were happy to oblige. Along with the two rovers on the back end, San Jose’s red-hot offense now runs through them.